Danielle Martin is a family doctor and national media commentator on the health issues that hit closest to home for many Canadian families. She practices in the Family Practice Health Centre at Women’s College Hospital (WCH) where she is also the Vice-President Medical Affairs & Health System Solutions. 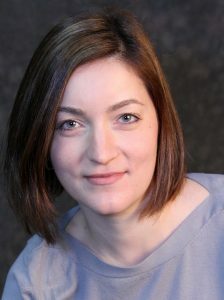 At the University of Toronto, Danielle is an Associate Professor in the Departments of Family and Community Medicine, Health Policy, Management and Evaluation and School of Public Policy and Governance. Author of “Better Now: 6 Big Ideas to Improve the Health of all Canadians” from Penguin Random House Canada, Danielle talks about opportunities for change that do not simply involve more spending. She continues to be a strong advocate for removing barriers to care and improving equity across Canada. Danielle’s policy expertise and passion for equity have made her an emerging leader in the debate over the future of Canada’s health-care system. She holds a Masters of Public Policy from the School of Public Policy and Governance at the University of Toronto. In 2006, her first year in practice, she helped launch Canadian Doctors for Medicare, the voice for Canadian physicians who believe in “a high quality, equitable, sustainable health system built on the best available evidence as the highest expression of Canadians caring for one another.” She chaired the board of CDM until May 2013, the year that she was also listed on the Toronto Star’s top “13 People to Watch” list. Danielle appears regularly as a medical contributor on CBC, is a columnist for Châtelaine Magazine and an in-demand speaker on a variety of health and health care topics nationally.